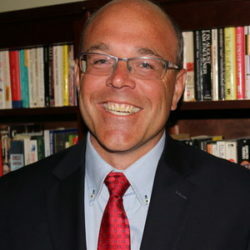 R. Lance Holbert (Ph.D., University of Wisconsin-Madison, 2000) is a Professor within the Department of Communication and Social Influence at Temple University. His scholarship utilizes mass communication- and persuasion-based theoretical approaches to generate greater understanding of the role of media in politics. He has published more than 70 peer-reviewed journal articles and currently serves as Editor-in-Chief for Journal of Communication. Dr. Holbert was also named the 2013 Teacher of the Year by the National Communication Association’s Mass Communication Division.